Do you want to learn ways to make money online? 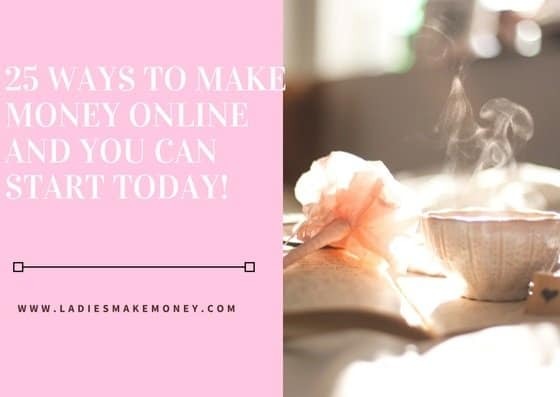 We have decided to list 25 legit ways to make money online and you can start today. 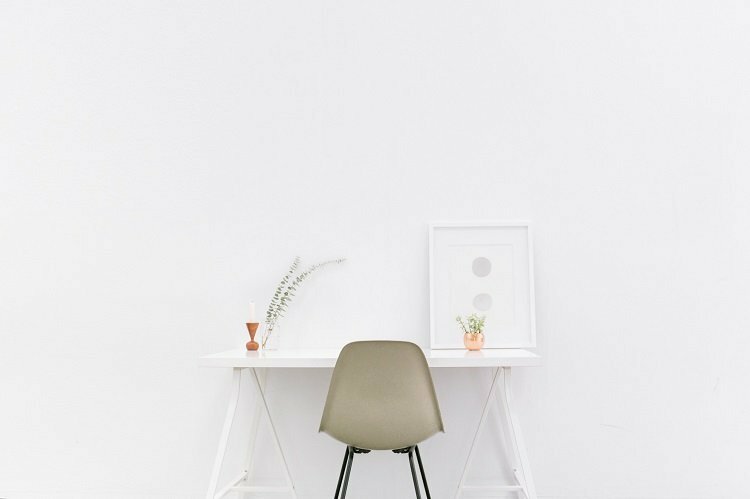 Making money with your blog doesn’t have to be difficult or stressful. You just need the right tools and the righ direction to get you to that place. If you have an email list, a community of fans ready to support you and the right tools , then you are good to go! Your blog – If you do not already have a blog, consider starting one today for as low as $3.95 per month on BlueHost. We are happy to be earning some income from our blog doing what we love and you can do the same. A detailed tutorial on how to get started can be found here! FIVERR– Do you have products or services you want to sell? Use FIVERR to do just that. Looking for easy to do work? Find writing gigs, design work and much more on FIVERR ! You won’t get rich overnight, but you can find jobs and clients that can turn into big payouts down the line. AMAZON– You can sell your own items on Amazon or you can become an affiliate and promote other products to make a commission. This amazing eBook shows you exactly how to make over $1000 by selling items on Amazon! Consider investment as a way to earn more money online. We highly recommend Motif Investments as a platform to get you started. They have no fees and it’s extremely affordable. If you purchase a portfolio of 30 stocks for just $9.95 commission. Use Media.net for your ads on your blog. I use a simple design on my site and it does not look trashy at all. You can make thousands of dollars just with ads. You do need some traffic to start making at least $1000.00. I recently invested in growing my blog with Pinterest and this book has been a lot of help! It will help me get from 30,000 page views currently to 200 thousand page views by the time I finish implementing all the strategies. Media.net is easier to join with less restrictions and it’s great for new bloggers. Sign up for Shareasale and start promoting some amazing products. Not sure how to use ShareAsale? This YouTube video will help you out. If you are an online shopper, use Ebates to earn cash back. I know a lot of my friends tend to shop online. Why not use a cash back site like Ebates to earn back money. It doesn’t cost you anything. Shop at over 750 of your favourite stores and get Cash Back on everything you buy! Plus, find great deals & coupons to save you even more! MAVEN – Are you a social media specialist? Why not get paid to post on social media. Use Maven to clip and earn. Start your FREE profile today, complete your profile with your blog URL and start earning. IZEA – Post on social media and get paid to do so. IZEA sends out small campaigns that you can use to make money online. This usually include posting on social media such as on Twitter! AWIN– I recently signed up for Affiliate Windows and I am having a blast promoting some of their partners and earning a referral fee from them. If you are not sure how to use AWIN, watch this! LINQIA– If you are looking for sponsored posts, look no further than Linqia. Great place to get lots of sponsored posts opportunities. SWAGBUCKS– I earn money by answering surveys online as well as performing searches. I use Swagbucks for this. If you want to see how you can make $500 with this gig, read this post. Sign up for Swagbucks with my link and receive $5.00! Teach a course and earn income. Lots of bloggers are making thousands of dollars by teaching a course online. The most affordable platform to do this with is Teachable! Anybody can teach something if you are good at it. I have friends that have created courses on “Teaching English as a second language”, “How to Make the perfect Desserts” , “How to be a Wedding Planner“. This goes to show that you can create courses on anything if you are really good at it. AirBnB – Do you have an extra room in your house that you can rent out to tourists? This is a great way to make money. This is a great opportunity for Travel bloggers. You can post your listings on your blog, craigslist, Kijiji and anywhere you can online. Especially over the summer when people are traveling. Hotel rooms can be extremely expensive, why not rent out a spare room. Become a Virtual Assistant! This is a growing industry and lots of bloggers are making money by offering VA services. Some services include, creating and posting social media posts, answering emails, creating products, updating blogs and websites and much more. Find out more about becoming a VA here! How about becoming a Bookkeeper? Do some research on how you can become an independent bookkeeper. This is a great opportunity because a lot of small business owners are constantly looking for help. Review Websites– Get paid to review websites via UserTesting.com! You can get paid up to $10 for each review you provide. Get started today! Sale your Products and Services on Pinterest. Are you part of any Affiliate programs? Did you know that you can add your affiliate links on Pinterest? People are making thousands of dollars by offering services and products on Pinterest. If you would like to make your first sale in 24 hours using Pinterest then grab this e-Book! Ultimate Bundles– Promote their products and receive amazing bonuses. They are so easy to promote as some of the discounts they offer are out of this world. They have amazing products for almost every niche so you can some great money from them! I just made a $150 this month and it’s not even the end of the month yet! I am loving them. Go ahead and become an affiliate for the Ultimate bundles. Sign up for the WP Engine affiliate program and receive a minimum of $200 per referral! – Such an amazing way to monetize your blog. I love promoting anything WordPress, but getting paid for it too, is such an amazing bonus! Offer Proof-reading services to your clients- Caitlin made over $43,000 as a freelance proofreader? Learn how to become a proofreader here: Make Money Proofreading By Becoming A Freelance Proofreader. Flex Offers– Become an affiliate for Flex Offers! I am signed up for a few programs with them and I am making affiliate sales through them. Not sure how to use Flexoffer? Watch this YouTube Video. Become a Stella and Dot Stylist if you are into fashion and makeup, this is a great program that will help you make money from home! You will do great. You can easily promote the items on your blog and every time some clicks on it, you get a commission. Very easy! Take surveys online! Use sites such as Inbox dollars, Angus Reid and few others! I created a whole blog about making money with surveys! Have a read and start making extra income! Consider creating your own digital products or services to offer clients as a way to monetize your online business! This is my favorite way of monetizing my blog. You can make some serious money by offering products that you have created and promoted. My two eBooks “How to get over 30,000 page views using Facebook” and “How to make $1000 from your blog in 45 to 60 days” are my most popular eBooks. WANT A LIST OF 20+ HIGH PAYING AFFILIATE PROGRAMS YOU CAN JOIN TODAY? WHAT ARE SOME OF THE METHODS YOU ARE CURRENTLY USING TO MAKE MONEY ONLINE? TELL US BELOW! You might also like: How we plan to make $5000 per month blogging! Do you think these can be applied in 2019? Thanks for your strategies. One thing we’ve noticed is that banks as well as financial institutions understand the spending patterns of consumers as well as understand that the majority of people max out there their own credit cards around the vacations. They prudently take advantage of that fact and then start flooding the inbox plus snail-mail box using hundreds of Zero APR credit card offers just after the holiday season concludes. Knowing that for anyone who is like 98 in the American public, you’ll hop at the opportunity to consolidate consumer credit card debt and move balances towards 0 rate credit cards. I agree with you that “Making money with your blog doesn’t have to be difficult or stressful. ” I have always been facing problems with Making Money Online and was trying to hire someone to help me. This is a comprehensive list, exactly what I was looking for. Thanks for sharing it. So many things I have never heard of! Thanks for the compilation, I will be busy checking out some of these new resources! This post is very complete! That’s very informative! Thanks for sharing your tips. Thanks for this list! I already use some of these, but there’s plenty you have listed that I’ve never heard of. I will definitely be checking them out. These ae some really good ideas! Some of which I never even thought of. I am so desperate to try as many of these as possible and make it happen. I’m going to bookmark this. One of the issues with quitting my job would be losing health insurance. Do you just have to purchase your own? Yes you would need to purchase your own! What do you use Solange? These are some great ideas!! A lot of these would be perfect as a side hustle! I’ve never heard of some of these before! I make money online with offering products, services, and through my blog. I am glad you can across our blog! This is really great for those online hustlers. Definitely going to bookmark this! Omg there are so many amazing sites, tips and different tricks that I had never heard of. Thank you SO MUCH for sharing. I’m just kick-starting my blog back up and looking for ways to grow income from it. I will definitely be implementing some of your strategies, fingers are crossed! That would be amazing right? I hope our list can help you! This was an insanely helpful roundup! I could use a little boost to my income. Thank you for the easy options! Thanks so much for sharing these ideas! It’s really helpful. So many resources I didn’t even know about! Great post! These are such great ideas! I’ll be sure to check these out! I am glad you did! Good luck with your blog! Thanks for this great list of ideas. I will be looking into some of them. I do use some of them already but can always use some more. You can always use more outlets to monetize your blog! I signed up for swagbucks last week and love it! It doesn’t take much time out of my day and I am earning money! Thank you so much for this post so much input I really needed. Your website is still open for later going to make some tea and making myself comfotable with a notepad and taking notes. Got a new fan hear thank you. Is really helping because I am thinking of going professional with my blog as I have the time and I really love it. Awww thank you Imena! Nice name…. 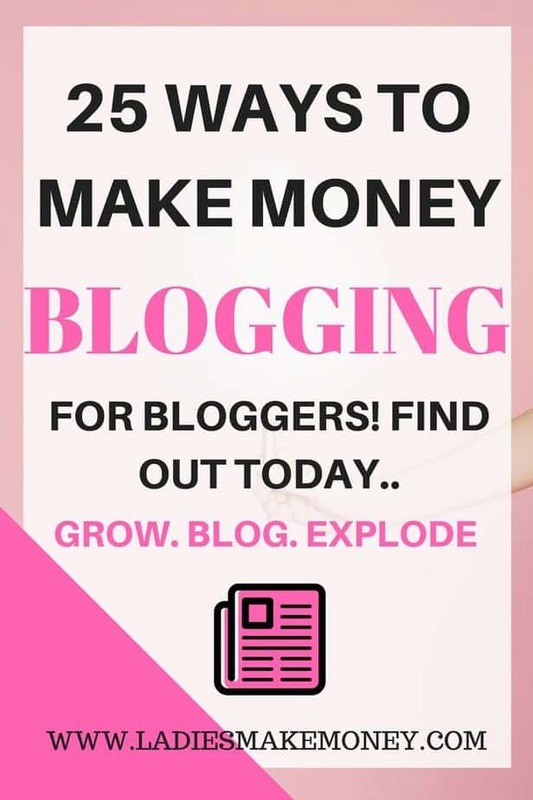 thank you so much for sharing this, as a blogger i am alway wondering how else i can make money and while some will think that its selling out it is, its so that i can do my passion for a living. Great information! I am having such a hard time monetizing my blog because of how new it is, but I am going to try some of these ideas. I am glad that you will try! Thanks for sharing these ideas. It always helps to learn more ways to monetize our blogs. Thanks for offering such a comprehensive list. I’m checking out a few of them ASAP! I am glad that you are! Some really useful tips here. Some of these I haven’t even heard of! So thanks for sharing. Great list, some of them are very interesting. Lots of great ideas to try! Thanks so much! Thanks for sharing! This was a great list/post for info, will be bookmarking this for sure.